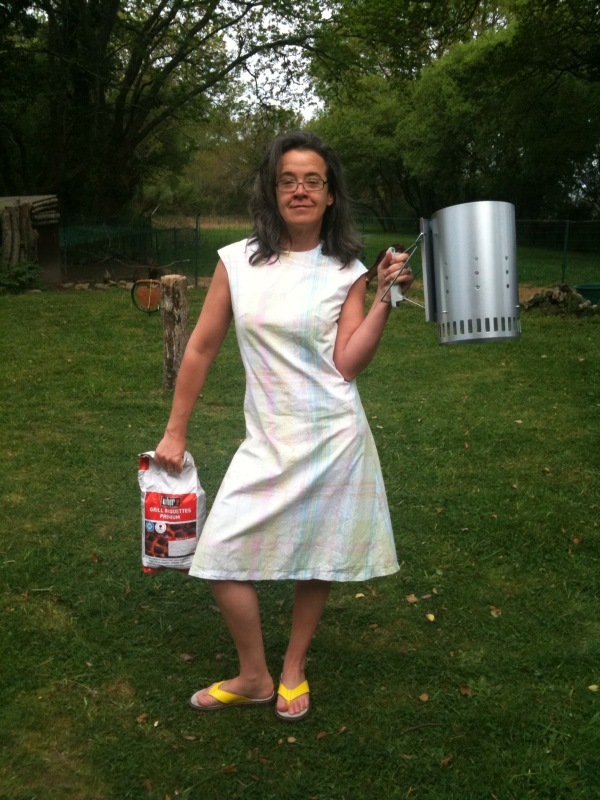 It's my birthday today and here I am with my "Serious Grilling Weber Starter Kit" which is either a sign summer is coming or Mr Carmencitab's hint at what he'd like to eat. I should really make this again AS intended, which is in a nice yellow knit. I have been walking around fabric stores with this pattern in hand for years, yes I carry my patterns, looking for a suitable knit and so far, I've had no luck. I would love to make the combo dress-coat and go to lunch. It does look like the perfect lunch outfit. As it is, in a light japanese cotton plaid with paisley print, it's stiff and really, I should go looking for a belt. I wish you always find the fabric for your patterns!